The ruling Bharatiya Janata Party (BJP) in Tripura has hit back at the allegations made by Communist Party of India-Marxist (CPI-M) against the government for the series of mob lynching incidents in the State. State Chief Minister Biplab Kumar Deb and Education Minister Ratan Lal Nath on Friday blamed the CPI-M for the incident. 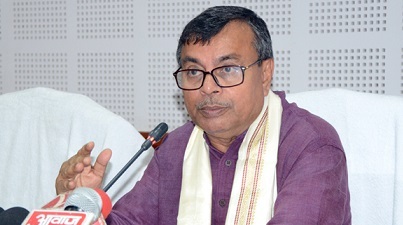 Interacting with media at the state BJP headquarter in Agartala, Ratan Lal Nath said that the CPI-M cadres and members were indulging in rumour mongering leading to mob violence to put the State Government in trouble. State Chief Minister Biplab Kumar Deb also lashed out at the CPI-M for allegedly indulging in spreading rumour aimed at destabilizing the State Government. He also asserted that the state police have already been given a free hand to prevent any incident of mob lynching as well as to take drastic action against anyone found to have resorted to spreading rumours. Congress demands probe: The Tripura unit of Congress demanded judicial inquiry by a sitting High Court judge on the recent lynching of innocent people based on rumours of suspecting child lifters. Addressing media persons at Congress Bhawan in Agartala on Friday afternoon, Pradesh Congress’s spokesperson Harekrishna Bhowmik also appealed to the people of the State to maintain calm and should avoid mob violence based on rumours. File photo of Biplab Kumar Deb. 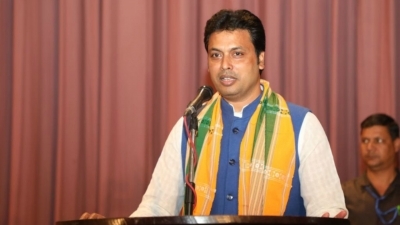 Bhowmik also alleged that the way Chief Minister Biplab Kumar Deb and Education Minister Ratan Lal Nath during their media interaction claimed an international racket of kidney smugglers are involved with murder of minor boy Purna Biswas (11) has spread the rumours across the State. 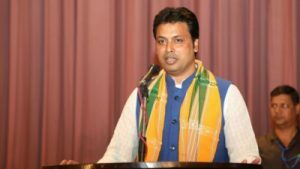 He also said that the Chief Minister’s claim on sealing the international border after the incident of Bhumihin Colony under Mohanpur subdivision has instigated the rumours about presence of organ lifters in Tripura.